Religious life began in the East in the first centuries of Christianity. 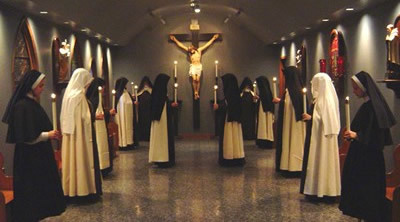 It differs from other types of consecrated life by “its liturgical character, public profession of the evangelical counsels, fraternal life led in common, and witness given to the union of Christ with the Church.“ There are many types of religious vocations, ranging from those specific to men, or women, or both. Monks, brothers, and friars are all different names for men living in a religious community in a monastery. They make simple vows until the time that they make solemn vows and may be a Priest, deacon, or a brother who is not ordained. The non-ordained are called a brother, monk, or friar depending on their location. 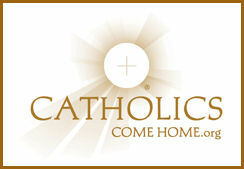 The Catechism of the Catholic Church says regarding secular institutes that they are “an institute of consecrated life in which the Christian faithful living in the world strive for the perfection of charity and work for the sanctification of the world especially from within . . . They commit themselves to the evangelical counsels by sacred bonds and observe among themselves the communion and fellowship appropriate to their ‘particular secular way of life’.” Third orders, which are an example of a secular institute, are great for those who are single and for those who are married, and for both men and women. Most secular institutes prefer aspirants to enter once high school is completed, however some may allow people to join during their high school years. If you are interested in joining a secular institute, visit our GPS page for more information on where you can start looking. You have conflated the definition of Societies of Apostolic Life and that of Secular Institutes; secular institutes specifically do not have as their charism a life in common, and they do take vows – minimally the vow of celibate chastity. The church defines them as two different ways. Thanks Mari Pari for taking the time to visit our page, and for sharing your feedback on this section of our page. I am excited to say that there will be some updates made to the vocations pages soon, within the next month. I hope that you had a blessed Easter, and that the Lord would lead you closer to Him this year. Thanks again for reaching out to us.